Welcome to Spitting Pig Lincolnshire, the number one choice of caterer that’s perfect for all kinds of events and celebrations. 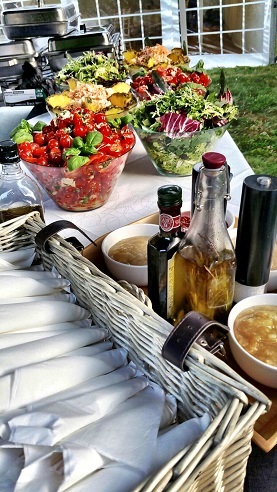 If you are looking for a catering company who can provide a delicious feast that will leave your guests blown away then you needn’t look any further! We are here to take the stress out of catering for you so you can sit back and enjoy the party with your guests. With our unique recipes and flavours you will be sure to have satisfied everyone’s taste buds! Just about anywhere in Lincolnshire is a great place to get married, and Scunthorpe is no exception. When you think of Scunthorpe as a venue for your wedding you are in for a real treat, the town is a very proud and pretty place. It boasts spectacular scenery, in particular views of the Trent Valley, and it’s easy to get round. 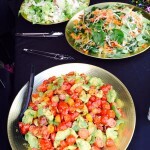 Over the years, we’ve done many catering jobs for families in the town who require a top-quality feast to match their occasion, whether it’s a birthday party, funeral or even a business event. However, we’re often inundated with requests from soon-to-be-wed couples wanting to order something from our bespoke Wedding Menu for the big day. 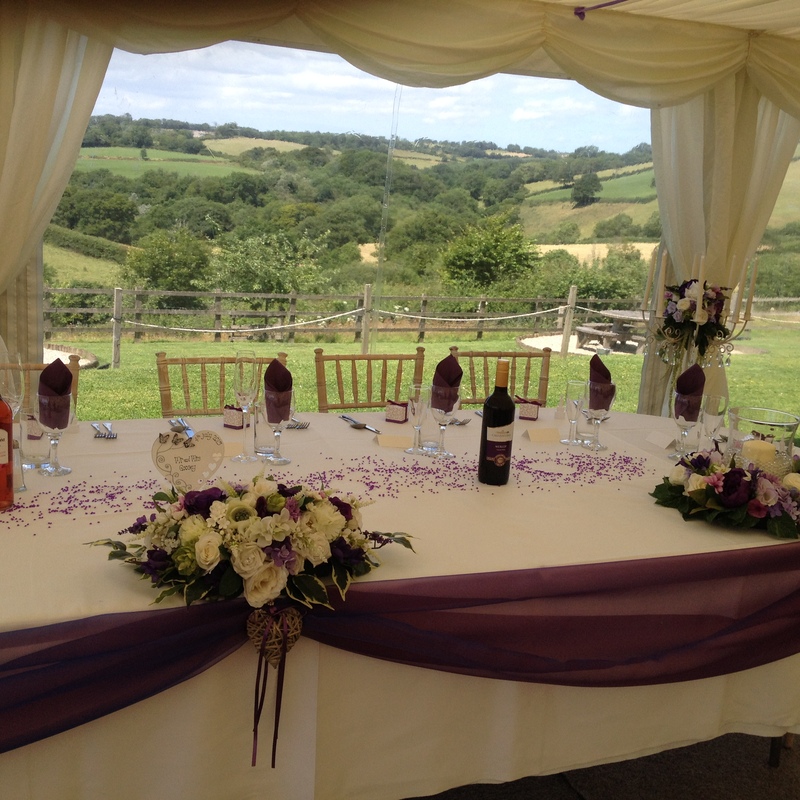 We know that getting married is possibly the most important thing you’ll ever do, so with that in mind, we’ve tailored our wedding menus so that they fit the occasion perfectly by using the best quality ingredients for our sauces, sides, desserts and, of course, the hog roast itself. Despite its earthy-sounding name, a hog roast at the centre of your wedding feast can be every bit as elegant and luxurious as smoked salmon, veal or indeed any other expensive meat or fish. We cook it slowly for six hours on our state-of-the-art hog roasting machine, ensuring that it doesn’t burn or dry out, and serve the meat straight off the bone. 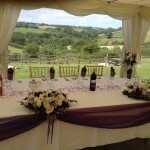 The Wedding Menu itself has many options which cater for ceremonies of all sizes. You get your choice of spit-roasted meat (on the larger ones, you get your choice of two spit-roasts), potato side dish, a side salad, sauce, crackling and, on some menus, your choice of dessert and starters. We cook, prepare and serve everything ourselves, and even provide the crockery, so we have all bases covered. As well as weddings, we also do private parties, corporate events and Hog Roast Grimsby Christmas catering, providing separate menus for each. Whatever your event is, we’ve got the right food for it. Being in the Grimsby hog roast catering business, we spend a lot of our time serving people who ask us to come to their events. However, we also like to provide the equipment necessary to give you the chance to roast your own pig, should you fancy taking on the challenge. For those of you who want to experiment with a different type of outdoor catering to using a volatile barbecue grill, or if you want to cook something extra special for your community event, street party or anything else of that nature, then we hire out hog roasting machines for a very reasonable sum. Whether you are looking for catering for a birthday party, wedding reception or corporate event then we at Hog Roast Lincoln have a menu to suite your requirements. We can cater for numbers as low as 30 up to 1000 or more and can tailor our menus to suite your needs or even create a bespoke menu to your exact specifications. We can turn up an hour before the event and leave half an hour after service has finished or as would be the case for our wedding and large party menus we would arrive 6 to 8 hours before service and prepare all the food fresh on site. 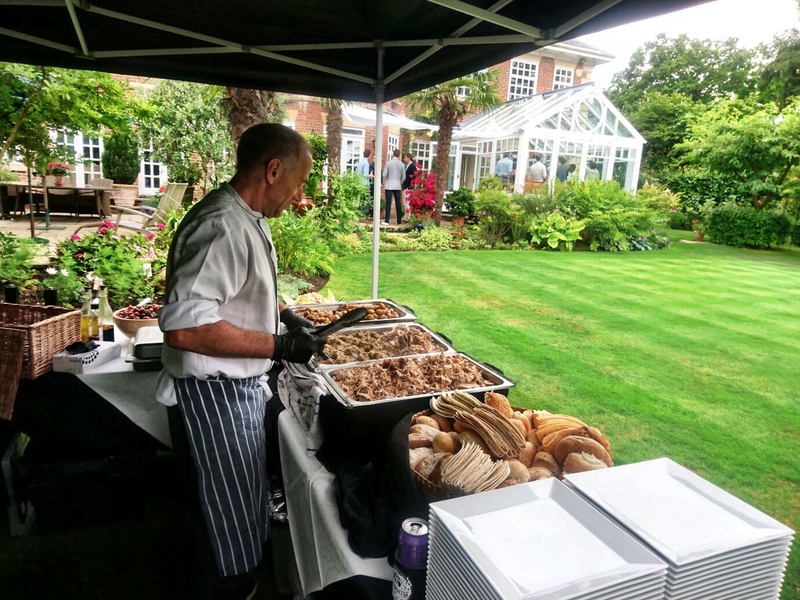 At Hog Roast Lincolnshire we can provide catering to fit into an event organised by your selves or as with most of our wedding menus we can organise your event for you, leaving you, your friends and relatives free to enjoy the day. 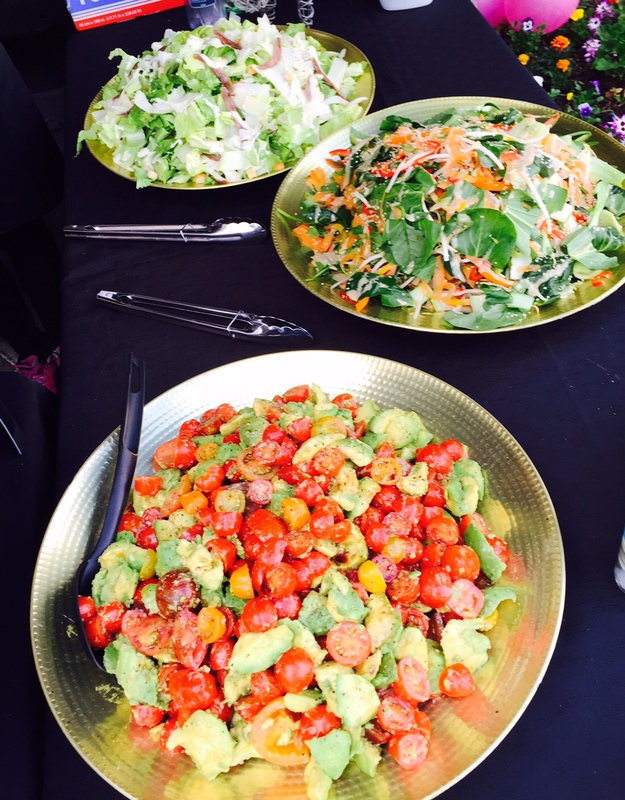 As professional caterers with a number of years experience in event catering we understand what is required to ensure your event is a success. Not only is the food important but our professionalism, presentation and organisation is paramount. Starting with our vehicles, we only use clean and tidy vehicles under 5 years old, so no old beat up van turning up at your wedding reception. All our staff are trained and experienced in the service they are providing whether it be waiting, carving or front of house at your wedding. presentation on site is critical to giving the right impression to your party guests, that is why we use linen table cloths for our serving and buffet tables (pleated down to the floor for weddings), professional salad crocks and chafers for the buffet table and always offer the option of stainless steel cutlery and china crockery whatever the menu. So, whether an outdoor garden party or an indoor formal event in Cleethorpes or Skegness we can provide a service second to none. Amongst the famed landscape of Lincolnshire resides the nations favourite hog roast Licolnshire events caterer! Having travelled the world in the pursuit of fine cuisine, we bring the people of this county, and the nation as a whole, the opportunity to have the food of kings at their chosen event. 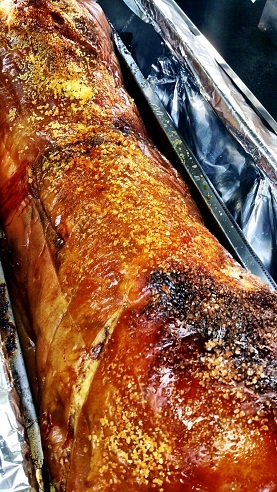 So whether it’s wedding catering in Scunthorpe that you wish to make memorable, or barbecue inspired cuisine in South Holland, Lincoln, Gainsborough, Market Rasen, Caistor, Scunthorpe, Brigg and Grimsby, we have the experience, flair and quality to make your hog roast Lincoln event as best as can be. Our growing legions of customers are a testament to this, so why not join them and experience food like it’s meant to be; perfect, hearty, delicate and immensely satisfying. Through our history as an illustrious hog roast caterer, we have had the pleasure of meeting thousands of our fellow countymen and women. Spread over a considerably large portion of eastern England, the county of Lincolnshire provides us with many gifts. The people, first of all, have made our pig roast catering events truly pleasurable, as serving a community which is as eager about good quality food as we are has made the journey all the more exciting and enjoyable. The pride we feel in our food and service is significant and present through the quality we provide. Through such quality, every member of our team, from catering assistant, to head chef, to our director, feels that the only way of feeling pride in what we do is by offering perfection on the plates of our customers. This is something that is central to our operating manner and ethos, and is a crucial factor in having made us the leaders in event catering, something which is echoed in our national level acclaim through our conduct at red-carpet events in the city of London.